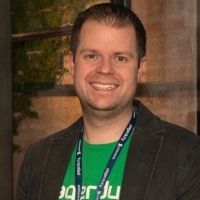 Dave Cliffe is a recovering software engineer who took on the role of sherpa on the Product team at PagerDuty before deciding that this whole "digital transformation" thing had legs. Before PagerDuty, Dave worked in cloud computing at Microsoft (Windows Azure) and at Amazon.com, launching their Grocery business. Frequently, he wonders which is scarier: being on-call or being a parent. The debate continues.